Fabio Fraternale has been appointed CEO of Apreamare S.p.A. Mr. Fraternale will also carry on the position of CEO of Itama S.p.A., a brand of Ferretti S.p.A., a world leader within the sphere of designing, building and marketing luxury motoryachts, which encompasses nine of the most exclusive and prestigious brands in the nautical world. Fabio Fraternale’s appointment is part of a precise and strategic plan for further expanding the Apreamare and Itama brands, which is aimed at strengthening the activities of the two companies. The new Itama headquarters will be transferred to Torre Annunziata (Naples), already the main seat of Apreamare, in order to maximize the potential of the existing synergy between these two brands. Since September 2008, the offices and activities of the Itama S.p.A. shipyard, located in Castelvecchio di Monteporzio, Pesaro to date, have been transferred to the new site. Fabio Fraternale, who previously covered the role of CEO of Pershing S.p.A. and Itama S.p.A., will be aided by Tilli Antonelli, President of Itama S.p.A., for aspects pertaining to Itama brand and Cataldo Aprea, CEO of Apreamare S.p.A., for those concerning Apreamare brand. After graduating in Political Science at the “Carlo Bo” University of Urbino, Fabio Fraternale began his working life at the Banca Popolare dell’Adriatico, where he held management roles in a number of different branches. In 1996, he became manager of Cantieri Navali dell’Adriatico – CNA S.r.l., specializing in the construction of open-type motorboats with the prestigious brand Pershing. In 1998, he worked actively on the integration of Pershing, which went on to incorporate CNA in 1999 into Ferretti group. Following this, Fabio Fraternale was appointed Chief Operating Officer of Pershing S.p.A., subsequently covering the position of CEO of Pershing S.p.A. and Itama S.p.A. The new nautical pole of Torre Annunziata is a modern production facility, currently being completed. It stretches over a surface area of over 125,000 m², of which 53,000 m² are covered. The shipyard is able to offer services both on land and in the water, as well as top quality assistance for Ferretti group clients and all other yacht owners. The pole features a private, internal wet dock measuring around 10,000 m² with about 100 mooring spaces, a canal which flows into the sea and coastal defence works that is necessary for both developing production activities and protecting the stretch of coast. The new pole also has a 200 tonne travel-lift used for large craft, thus making it possible to carry out sea trials and testing both quickly and easily, as well as haulage of Ferretti group craft. The pole makes it possible to assist and serve both clients who are passing through and those in the Tyrrhenian basin, just a few miles from important tourist destinations such as Capri, Ischia and Sorrento. Bavaria is investing into another new production line and enlarging the capacities of the fully automatic varnishing system for furniture and interior equipment of sailing and motor yachts. 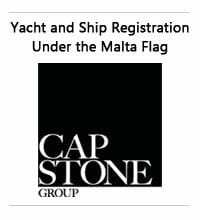 The company says that despite the fact that in general consumers are tending to keep a low profile due to the latest developments in the financial sector, results of the recent boat fairs showed that there is an ongoing interest and demand for its yachts. Compared with the results of preceding years, sales are lower, but much more than estimated in advance! Bavaria continues to build yachts strictly on demand, with a short term aim to stabilize its current production rate of six yachts per day. This means that they will not produce yachts to stockpile afterwards, with every customer having the full choice of all available options to configure an individual ship. 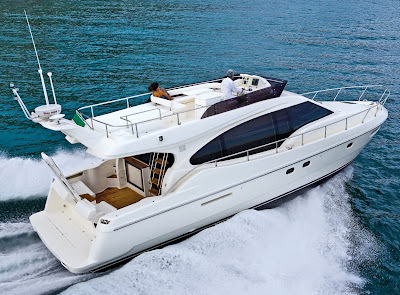 At the same time, it will strengthen and further establish the existing product lines and introduce new products, especially for the growing market of larger yachts. French boatbuilder the Beneteau Group has reported growth in earnings for 2007-2008, with income from ordinary operations representing 14.3 per cent of sales, but is preparing for a downturn in 2009. On a comparable basis excluding this year's sales of Beneteau's Microcar and Wauquiez brands and with mobile home firm IRM incorporated over 12 months in 2007 — consolidated sales come out at €1,055.4m for 2007-2008, an increase of 8.2 per cent on the previous year. Income from ordinary operations totalled €151.4m, representing 14.3 per cent of sales and up 9.6 per cent in relation to 2006-2007. Beneteau's boat business grew its operating income by 8.5 per cent to €129.6m, representing 15.2 per cent of sales (compared with 15.1 per cent last year). The group acknowledges the impact of the credit crisis on the marine industry and is preparing itself to 'outperform the market by 5-10 points'. 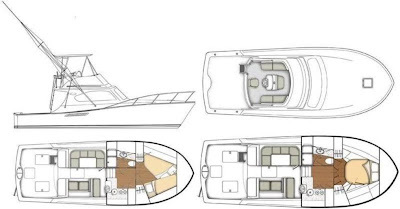 Beneteau will accelerate the release of its new models, part of which, initially planned for 2010, will be brought forward to the 2009 season. Beneteau divides its business between boatbuilding and leisure homes, which represent around 80 per cent and 20 per cent of the group's turnover respectively. The group is present in over 50 countries, with 6,000 employees at 24 production sites. UK boat builder Fairline introduced a shorter working week for around a quarter of its workforce this morning in response to the recent economic downturn and sales reduction for certain models. 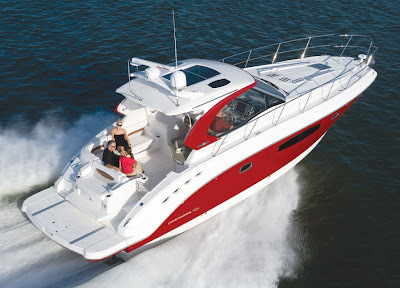 Some 365 of the company's 1,360 employees are affected by the move, which will see four of Fairline's production lines reverting to a two-day week, and one moving to a three-day week. The shorter working week will last for seven weeks until December 24, 2008. The company said it would pay the affected workers 60 per cent of their basic wage, more than the statutory minimum. Ferretti S.p.A., parent company of Ferretti group, a world leader within the sphere of designing, building and marketing luxury motoryachts, which encompasses nine of the most exclusive and prestigious brands in the nautical world (Ferretti Yachts, Pershing, Itama, Bertram, Riva, Apreamare, Mochi Craft, CRN and Custom Line), arrived to the Ft. Lauderdale International Boat Show with an impressive line-up and presentation of its prestigious fleet comprised of 23 yachts, of which 2 are previews, further proof of the great importance that the Ferretti group has always dedicated to its US customers. Recently celebrating 40 years since its inception, this past year marks a particularly significant nautical year for Ferretti. Achieving many milestones over the past year and developing new, cutting edge technologies, has allowed the company to successfully uphold its leading position in the marine industry worldwide, thereby proving Ferretti’s strength time and time again. As a result of its continued growth and in order to further diversify its dynamic portfolio, Ferretti has developed a highly strategic plan for expansion into the U.S. market. The American market has always been a strategic area for the company and its commitment to the U.S. market has grown especially strong within the last year. Ferretti has redirected its efforts in the U.S. and has devised a long-term strategy to further establish a direct presence in the U.S. market in order to meet the high quality standards set forth by the Ferretti brands. One of the most significant new initiatives that Ferretti has undergone this year to implement this new strategy was the recent acquisition of Allied Richard Bertram Marine Group in September of 2008. As a result, Ferretti has formed Allied Marine, the newest Ferretti group company to be added to the group’s impressive portfolio. 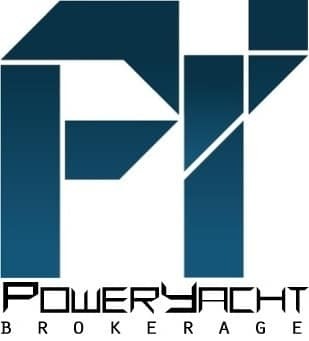 In order to effectively penetrate the U.S. market, Ferretti group acquired all of the assets, brands and ongoing operations of the American company, which specializes in the post sales, services and the marketing of both new and pre-owned motoryachts as well as providing brokerage services. 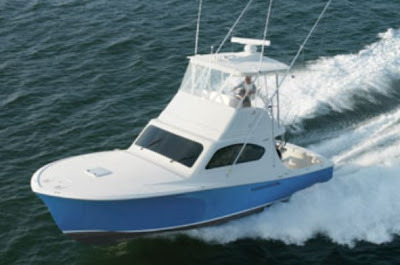 With over 50 years of success, Allied has remained a leader in the U.S. marine industry, by emphasizing the importance of superior customer service in a personalized manner. This new acquisition will enable the group to enter important sectors of the nautical market with a high added value, such as distribution and after sales assistance service. 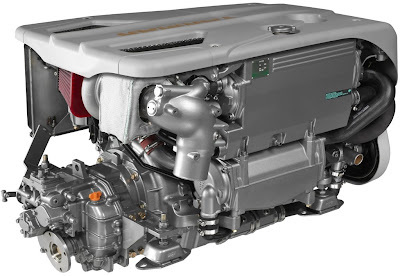 Also, it will provide Ferretti customers in the U.S. with more personalized, quality, comprehensive and effective after sales service assistance for Ferretti customers and products in the U.S. As for the foundation and allocation of Allied Marine’s activities, there will be more details developing in the coming months. Furthermore, Allied Marine will operate out of its main facility in Ft. Lauderdale, Florida and will remain as the main headquarters for Ferretti in the USA. As the company will be developing its network outside of Florida over the course of the next year, it will seek to expand its capabilities throughout the U.S. to offer the highest service available. 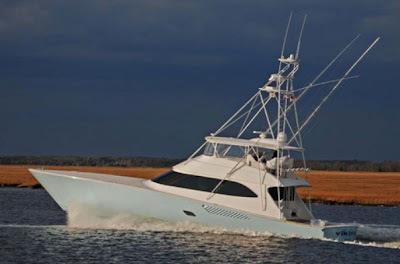 Allied Marine is now the sole distributor for all of the European brands in the U.S.A. and will continue to be the exclusive distributor for Bertram and Tiara on the east coast of Florida. Bertram will retain its previous dealer network outside of the state of Florida. Consequentially, George Kyriazakos has been appointed Chairman for Ferretti operations in the USA. George Kyriazakos is a long time Ferretti board member, as well as a successful boat dealer and a passionate boater. In this role he will be responsible for overseeing and coordinating all ongoing activities carried out by Ferretti companies in the USA. Robert Mc Dougal has been appointed President for Allied Marine thus overseeing all service, brokerage, sales and communication activities. Giovanni Vacchi will maintain his role as Chairman and CEO of Bertram Yacht. Aside from this new comprehensive strategy for the U.S. market, Ferretti is also forging ahead with product innovation and launching new models on the US market. Two new models, displayed here at Ft. Lauderdale, include a world preview the new Bertram 540, a world-class sport fishing yacht, which incorporates cutting edge technology, sleek styling and high-performance into an innovative sport-fishing vessel and the new Custom Line 112’ NEXT, a preview for the US market, the new flagship of the brand’s planing line, one of the very best expressions of top level yachts thanks to its finest woods, leather and fabrics. This presentation of Ferretti’s prestigious portfolio of brands in the nautical world (Ferretti Yachts, Pershing, Itama, Bertram, Riva, Apreamare, Mochi Craft, CRN and Custom Line), displayed here at the 2008 Fort Lauderdale International Boat Show with as many as 23 boats, showcases the advanced world of Ferretti products and represents luxury, innovation and excellence at its best. William Naumann, who left the chief spot at the Hatteras Collection in 2006, has been brought back from retirement to run that Brunswick business unit. The Hatteras Collection includes the Hatteras, Cabo and Albemarle brands. Brunswick also announced that its current president, Keri Theophilus, would be moving to a new assignment in Brunswick International. He will be replaced by James Meyer, formerly vice president of product development, supply chain and business integration for the Brunswick Boat Group. Naumann, according to a statement, will lead efforts to strengthen relations with dealers, customers, and suppliers. He will also be responsible for government and public affairs. Naumann and Meyer will report to Dustan E. McCoy, Brunswick's chairman and chief executive officer. 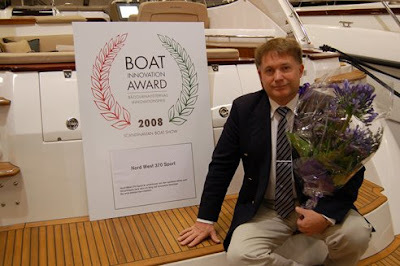 Nord West is pleased to announce that the new 370 Sport model has been awarded Boat Innovation Award 2008 at the Scandinavian Boat Show in Stockholm the 9th of November. Australia's largest luxury boat builder, Riviera, reports a strong result from the Fort Lauderdale Boat Show in the United States and Genoa Boat Show in Italy which was held last month. The Fort Lauderdale show achieved a total of eight boats sold during the five-day show with a total value of more than $A6 million while the Genoa Show saw the sales of three larger models with a total value of about $A3.3 million. Riviera CEO John Anderson, who attended both shows, said that sales had predominately come from across the Flybridge and Sport Yacht model ranges with an encouraging level of other enquiry for our dealers to work with over the coming months. Mr Anderson said the US market remains tight in the wake of the financial crisis. 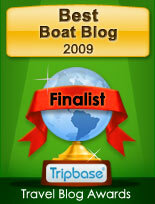 However, the result demonstrated that the right boats will continue to attract buyers in all market conditions. 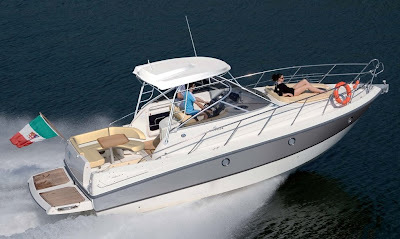 The company is looking forward to the release of the new 3600 Sport Yacht Series II with Volvo Penta IPS in December this year and the exciting new 5800 Sport Yacht with the Volvo Penta IPS at the Sanctuary Cove International Boat Show in May next year, he said. The Riviera Light Tackle Masters game fishing tournament off the Gold Coast in January is already shaping to be bigger and better than the successful 2008 event. Again, the Masters will run over three full days of fishing, beginning on Friday, January 16. A flotilla of more than 50 boats and 200 anglers, with many ladies and juniors, is expected to challenge for prizes valued at more than $60,000. The event, hosted by the Gold Coast Game Fish Club from Marina Quays International at Hope Harbour, will begin with registration in the evening of Thursday January 15, followed by three action-filled days of fishing and culminating with the Presentation dinner on Sunday evening, January 18. According to Darren Malaquin, President of the Gold Coast Game Fish Club, the quantities of game fish at this time of year and their easy accessibility on fishing grounds close inshore make this tournament an ideal opportunity to enjoy great fishing, good weather and loads of fun. 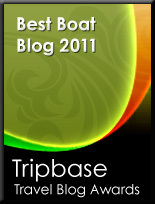 Marina berths and hotel accommodation at the Marina Quays International at Hope Harbour are available. Mr. Paulsen speaking to a following visit by 32 Queensland Leaders members to the Riviera facility on the Gold Coast applauded the boat builder as one of Australia true prestige brand. Mr. Paulsen said the organization helps to provide the knowledge, networks and capital for selected companies to become international players. Riviera CEO John Anderson told the executives that his company was a major competitor in its category of the international leisure boating market. 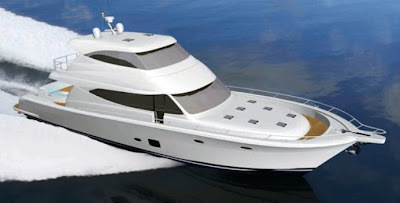 Sealine will unveil, in January 2009, the first of a new premium line of luxury motor yachts. This line will be known as AURA and will combine spacious, high performance motor-yachts with the very best of modern interior design. The new AURA line will be launched on the flagship T60 and is the result of a unique collaboration between Sealine and Studio Conran. Recognised worldwide for their architecture, interior design, stylish shops and restaurants, Studio Conran has a diverse portfolio of design work which includes interiors for Concorde and Yotel compact hotel cabins. In the T60 Aura, space has been optimised with practical, clever storage solutions. Subtly integrated technology provides flexibility, transforming the interior space of the Aura to suit the occupant’s mood, whether entertaining in port or cruising. Natural oaks, light finishes and furnishings throughout reflect light, helping to bring the outside in. The new T60 AURA will be revealed at a special exhibition being staged at the Design Museum in January and the new boat will be moored a short walk away at Butlers Wharf.